Posted By:Unknown | At:10:30 PM Be the first to comment! Democratic congresswoman Frederica Wilson of the 17th district in Florida (which is the district in which Trayvon Martin lived in) gave a very powerful speech about the death of Trayvon Martin on the House floor. 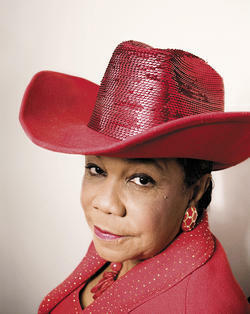 Rep. Wilson started out by saying that she was tired of burying young black boys. She went on to compare the death of Trayvon Martin to another young black boy who died in Florida and no one was held accountable. Martin Lee Anderson was beaten to death in a Florida boot camp three years ago and no was held accountable for his death. The Anderson beating was caught on tape yet none of the guards were jailed.